Imagine these beauties delivered right to your door! 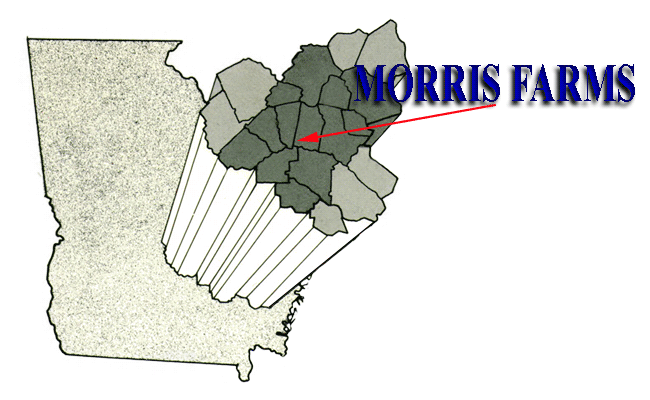 Morris Farms has operated in Uvalda, GA since 1950. 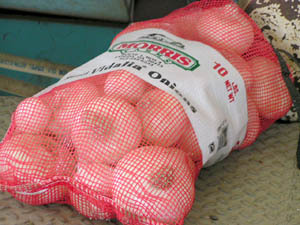 We specialize in the production of world-famous Vidalia Sweet Onions. We have established a national reputation for the finest quality onion products. We are proud of the reputation we have developed as a long-standing grower and shipper of quality Vidalia Sweet Onions and will continue to work to justify and enhance that reputation in the years to come. Vidalia Onions have developed an international reputation as the “world’s sweetest onion.” Their mild flavor is due to the unique combination of soils and climate found in the 20 county production area. A Vidalia onion is a sweet onion of certain varieties, grown in a production area defined by Georgia law and by the United States Code of Federal Regulations (CFR). The varieties include the hybrid yellow granex, varieties of granex parentage, and other similar varieties recommended by the Vidalia Onion Committee and approved by the U.S. Secretary of Agriculture. 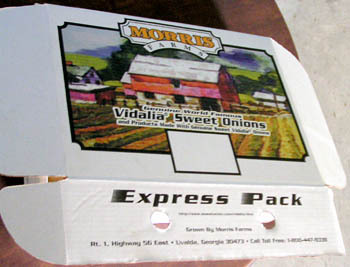 The onions are named Vidalia because of where they are grown, Vidalia, Georgia (growing there started in the early 1930s). The different varieties are unusually sweet, due to the low amount of sulfur in the soil in which the onions are grown. The Vidalia onion was named Georgia’s official state vegetable in 1990.